Avon Place is proud to recognize nurse Brittany for her shining example of a Culture of Care. 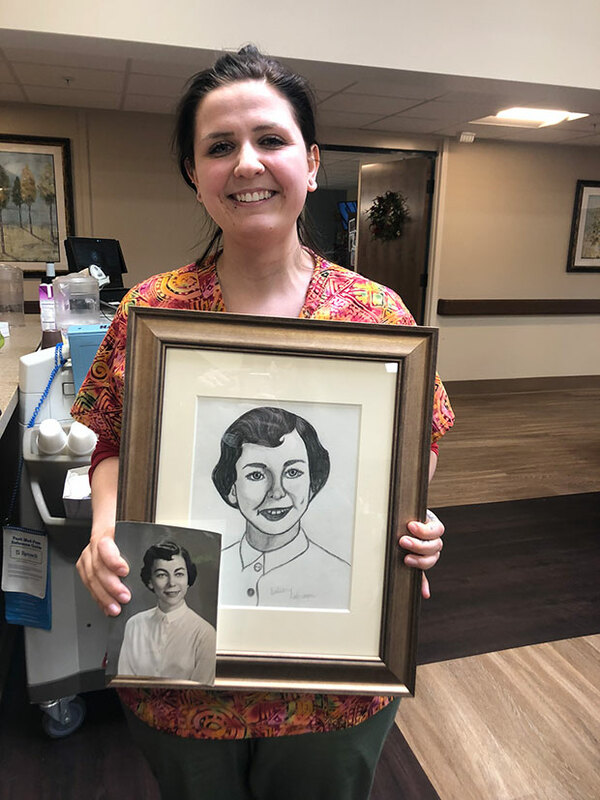 Nurse Brittany created and presented a charcoal portrait of a resident she has provided care for. We are so thankful for the incredible team at Avon Place Skilled Nursing and Rehabilitationltation and how they have created "A Culture of Care" for our residents and families. As part of the Foundations Health Solutions family, we prioritize our residents, families, and their care.